Italy. The birthplace of such things as: Pasta. Design. Pizza. Curly Moustaches. Ravioli. Pretty Women. People With Stranger Accents Than Me. Ragu. A Three Toned Flag. Benito Mussolini. 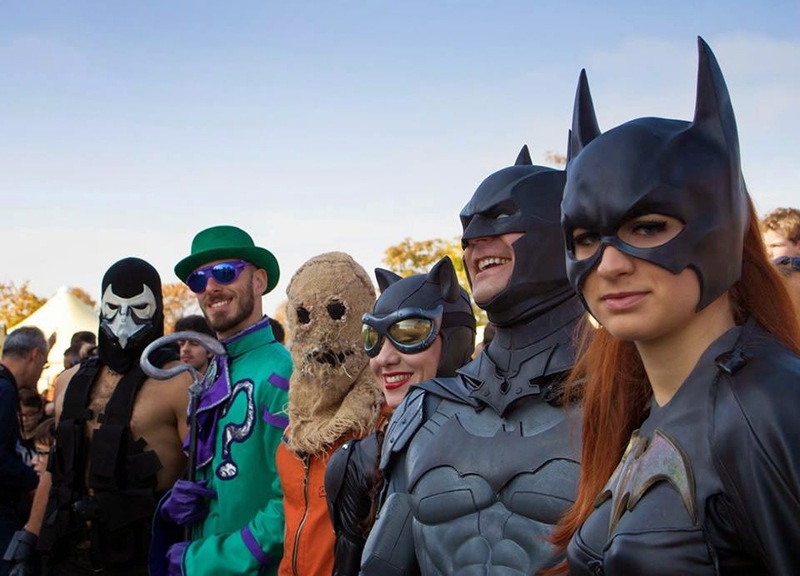 And of course, Batman Costumes. Huh? What's that you say? What do I mean by Batman Costumes and Ragu? 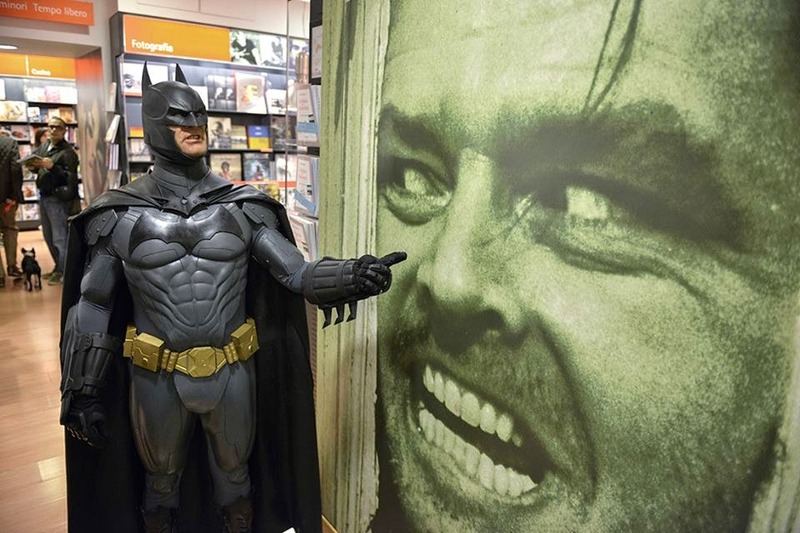 Here, when you have the chance, please check out this interview I had only the other day with my good mate, Riccardo Lo Forte, whilst we were gabbing about his great cosplay site. 1) What is your role in 'Gotham Shadow', Riccardo? And how did this venture come about? I am it's founder, it's head, and something like an artistic director. Gotham Shadows was a gamble for me, played by focusing on quality of the costumes and the scenery. In the end, the work always pays. 2) What are your own origins? Me and my crew come from the 501st Legion, which is a customising Testimonial for Lucasfilm / Star Wars brand. The 'activities' carried out by our group was the best training ground for the processing of Gotham Shadows. 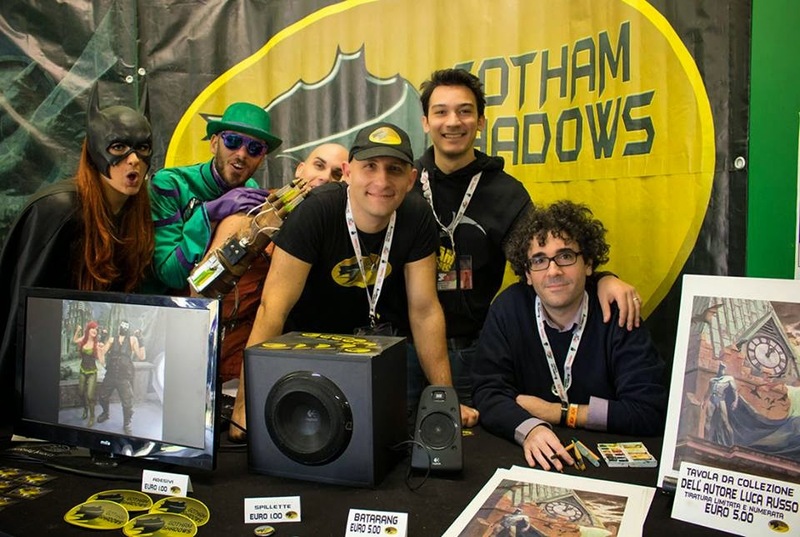 The idea was definitely born from the passion that this band of fools has for the Dark Knight, plus the observation that, in side groups, official or otherwise, dedicated to various brands, there was nothing in Italy dediceted to Batman.So we decided to fill us this void. 3) What was the first Batman comic you ever read? I read my first Batman comic book when I was 6. I was sick with the fever and my father bought it for me. I can not remember the title or the authors because I was too young. But I remember that I was very impressed. The first comic I vividly remember was "The Dark Knight Returns" by Frank Miller, in 1986. 4) If ‘GS’ was a song, what song would it be and why? Ha! This one is easy to answer. "Johnny be good". Why? Well, if you watch some videos on You Tube made by us together with the Ghostbusters Italy Group , you will easily understand why. 5) If you could get a celebrity – either living or dead – to promote your fan-site, what person would you get, and why would you want to choose this particular person? Ahhhh! Surely it would be Mr. Bob Kane. He is the man who started everything. 6) What have you learnt about yourself through this endeavour? I have definitely learned that in a group activity like this is, it is really important to have trusted and capable collaborators by your side, for which you can plan and prepare for the future with. It's also important to understand that the personal ego must be put aside in favor of the representation of the entire group. Today I can play Batman and be in the spotlight. Tomorrow I can interpret an anonymous ninja of Ra's Al Ghul squad. Humility in that case rhymes with professionality. 7) Has your site received any praise from DC Comics, the media, or other noted sources? We have received praise and attention from the national media, blogs, and not to mention the main Italian Comicon organizations. But unfortunately we are ignored by WB Italy and DC, yet it must also be said that our action is carried out 'on the battlefield', dirtying our hands, and are not a group that operates primarily on the Internet. 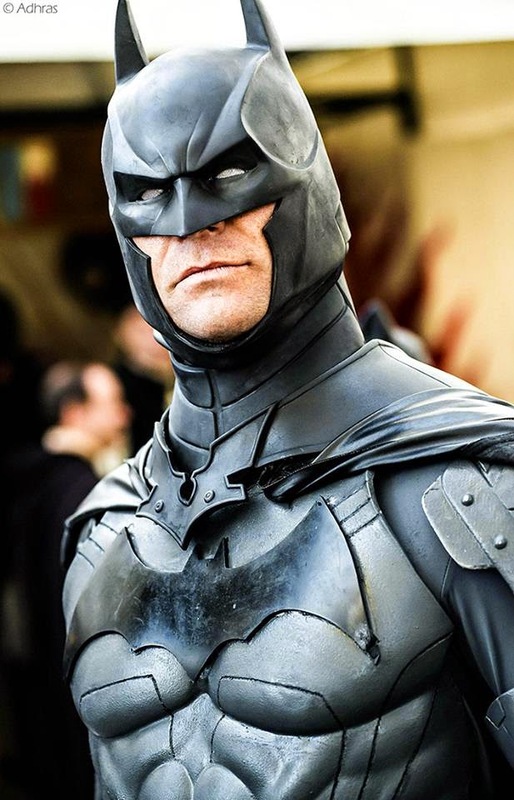 8) What is the one thing that makes your site stand out compare to other Batman related sites? As I previously mentioned, we work to give the public the opportunity to touch a realistic representation of the Batman universe. Internet is definitely important to raise awareness of our work, but it is not the place in which we give the best of ourselves. So the difference with other related sites compared to our own, is that we do not make information-disclosure of what happens in the Batman or DC Universe in general, but simply promote ourselves. 9) I know that this is a difficult question to answer, but what is your most favourite Batman creative team and story? My sensitivity as a reader seems to be constantly changing with age. As a kid I was hungry for Pulp stories, so I would have said Frank Miller without thinking. Right now though, I'd say it's Jeff Loeb and Tim Sale with "The Long Halloween". 10) If you could sit all the big-wings from DC down in one room together, and impart some advice on their line of publications, what would you tell them and why? I thoroughly enjoyed the latest sagas of the "Black Gauntlet" on "Batman Incorporated", and of course, 'The Court of Owls' storyline. I would not give DC any advice, because I am very satisfied with the work they are currently doing. Wow! Thanks for that Riccardo. Considering that English isn't your first language, mate, you can sure put your point across. Don't you agree, dear readers? So when you have the time, you know what you have to do. Check out Gotham Shadow, plus of course, follow them on facebook too. Ciao.